From wine stoppers to jewelry, Kennedy Strain does it all. Strain is a self-taught fluid acrylic and resin artist. 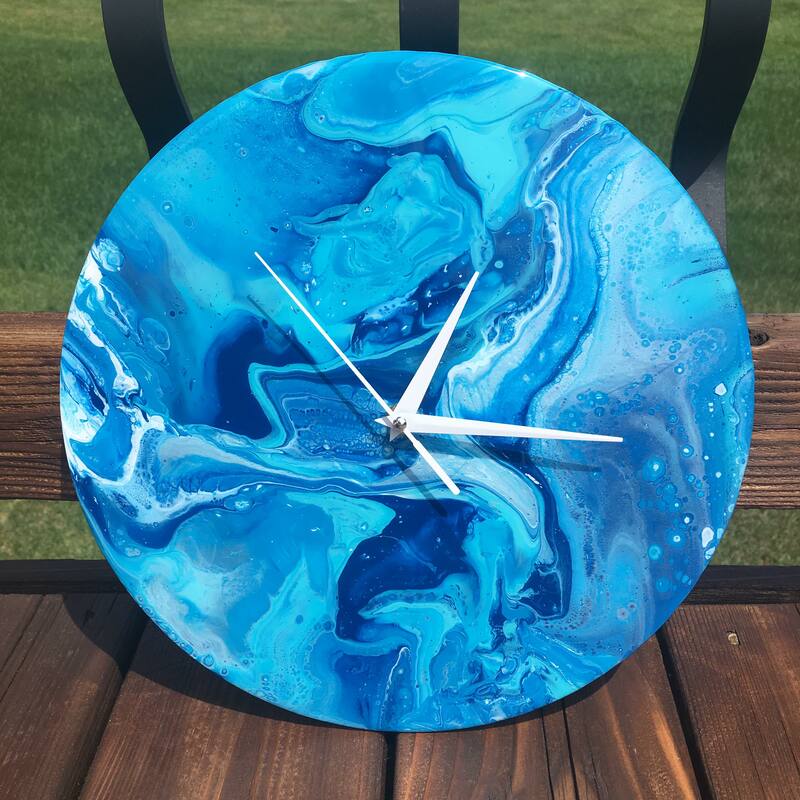 She uses paint and resin to design a multitude of household items like jewelry and original art. “I first explored the technique of fluid acrylics in the late summer of 2017. My parents’ kitchen center island was my very first studio space. I had my first fluid acrylic commission piece in September 2017, with the canvases adding up to six feet long. That is when my studio space moved to the basement and I created there for the remainder of the summer,” said Strain. Canvases led to other items and other items led to more ideas. “August 2017 was the first time I poured with resin, using it as a varnish for my fluid acrylic paintings. That is what opened up the door to endless possibilities. Since working with resin, I have expanded my collection to homeware and jewelry items, not specifically fine art works anymore.t [T]hat is how “Strain Creations” was born!” said Strain. Since her website launched September of 2017, she just celebrated her first year in business. Her typical process of creating her items is one that requires preparation and patience. “I start off by setting up everything and preparing any products. From protective sheeting (because it does get messy) to setting aside the colors I want to use. It’s all about knowing your paints. The technique I use is called ‘dirty pour’ or ‘flip cup’, where I layer all the colors into a master cup, flip it over, and lift the cup off the canvas. This creates a completely unpredictable, abstract outcome,” said Strain. Strain does a lot of craft and vendor shows to get her name out there and to show people her website, straincreations.com. “I usually attend shows around the Twin Cities and in my hometown area of Elk River, Minnesota,” said Strain. “I am an approved trader for the Minneapolis Craft Markey. You had to send in application to get approved to be a trader before they allowed you to sell at their shows, which is pretty neat. I will post any confirmed upcoming events on my website as well, that’s a convenient way for people to know when upcoming shows are if they follow my Facebook page,” said Strain. Her website shows a full display of all her items and whether there are any more left in stock. “It’s convenient to have my website especially when someone wants to purchase something, and I don’t have a show scheduled anytime soon,” said Strain. She takes pre-orders and custom orders on her website as well. 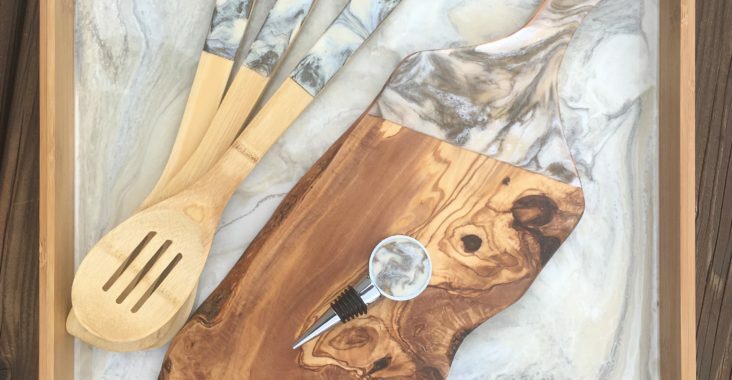 Currently, Strain orders her items, however she mentions that she would be interested in finding a local woodworker and ordering from them for her items such as cutting boards and serving trays. “I’d love to support another small business, I just haven’t been able to find anyone yet,” said Strain. Strain has some upcoming items coming to the website soon as well. 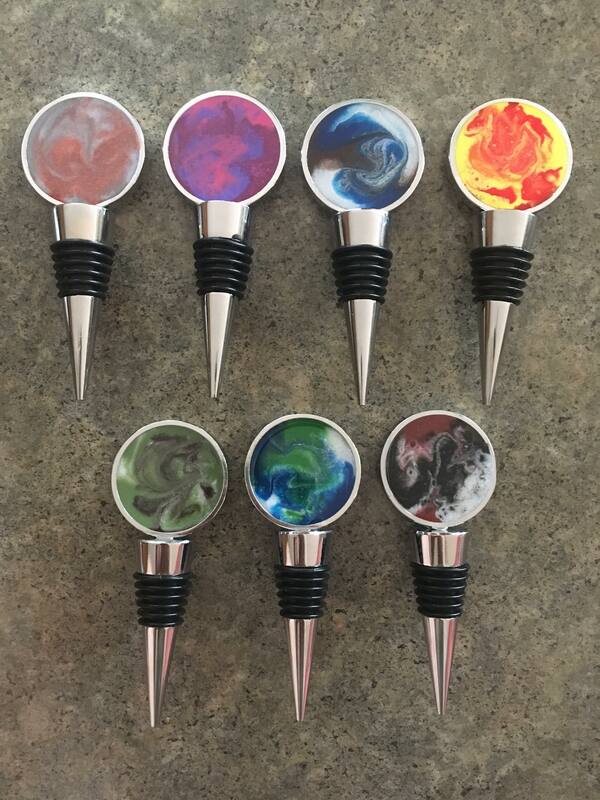 “I just placed an order for 30 wine stoppers- they are my hottest selling item right now, and I’m already preparing for Christmas shows and order! A few more serving trays are more rustic looking as well, which is a new style for me, and it will be fun making some modern, marble and rustic looking items!” said Strain. “It was a lot of trial and error to get where I am today, but that is the satisfying part about being self-taught. I still feel like I learn something new every day, and the cool part is that no two pieces are alike. I also couldn’t have done it without the help of my parents, they are a huge support system along with some close friends,” said Strain.